The Ivy League is a place where basketball is neither a pastime nor a profession. 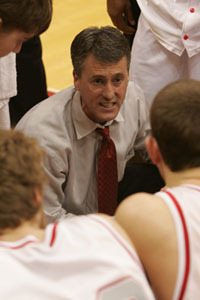 Instead, it inspires true passion among players, coaches, and fans who share in its every success and setback. 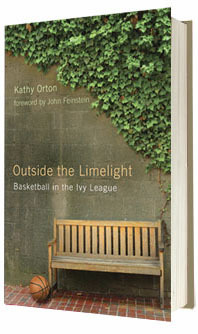 Outside the Limelight is the first book to look inside Ivy League basketball at what makes it unique. Kathy Orton vividly captures the fervor of the personalities who champion their game as well as the triumphs and disappointments that define an Ivy hoop season. She weaves together the stories of the players and coaches as they move from fall practice through an entire season and ahead to the NCAA tournament. In an era when Division I men’s college basketball is corrupted by huge television contracts, recruiting scandals, and star players jumping to the NBA, there remains one group of schools that has managed to steer clear of such pitfalls—the Ivy League. Even though these venerable institutions are better known for turning out presidents, not point guards, and CEOs, not centers, the Ivy League quietly competes with the top conferences in the country. From Harvard to Penn, Princeton to Cornell and beyond, players who in most respects live a charmed life face leaky gyms, long bus rides, rigorous course loads, and unbearable exam schedules. There are no scholarships. Televisions appearances are rare. 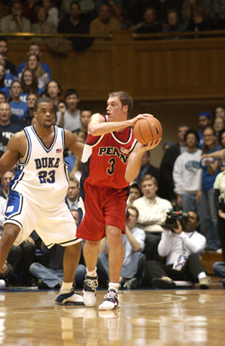 And few Ivy players go on to play in the NBA. Why do they do it? Simply for their love of the game. Outside the Limelight gives college basketball fans everywhere an opportunity to fully appreciate this captivating conference and provides diehard enthusiasts greater insight into what brings Ivy League basketball to center circle. Foreword by John Feinstein.